Our range of products include cnc machine controller. 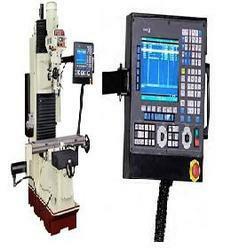 Our company is engaged in manufacturing and supplying high quality range of CNC Machine Controllers. Offered product is precisely manufactured using premium quality raw material and advanced techniques. Looking for CNC Machine Controller from India ?